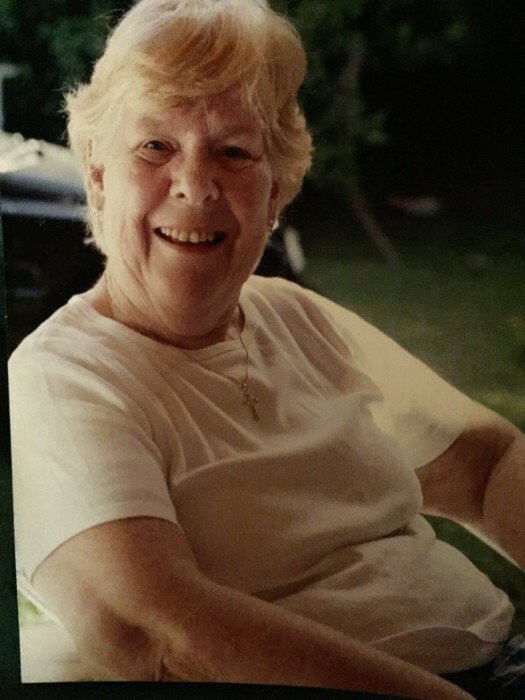 Obituary for Joan Chamberlain | D.L Calarco Funeral Home, Inc.
Joan Tomlinson Chamberlain, 84, of Sackets Harbor, NY passed away on January 23rd 2019 after a long battle with Alzheimer’s. Joan is survived by her husband Bruce of 62 years. They have 6 children including; Richard(Martha) of Meritt Island Fla. , Jeanne Roberts of Nashville, TN. Michael of Sackets Harbor, Eric of Baldwinsville, NY, Jolie Ganley (Regis) of Atlanta and Jamie of Syracuse. Joan is survived by 11 grandchildren and 3 great grandchildren. Joan was born in Amsterdam, NY on May 4th, 1935. Joan met Bruce while studying for her license as an X-Ray technician in Easton Pa. They married and had an amazing 62 year marriage. They lived in Easton, PA 6 years and moved to Battle Creek, Mich. Two years later they moved to Liverpool, NY and resided there for 40 years prior to moving to Sackets Harbor. Joan worked as an X-Ray Technician in Syracuse and was an active member of St. Joseph’s the Worker Catholic Church while residing in Liverpool, and St. Andrew’s in Sackets Harbor. Joan was also very involved the Down syndrome community in Syracuse, including the Arc of CNY.